How Often Should I Visit My OBGYN? With Pap smear and mammogram recommendations constantly changing, this can be a pretty confusing question. As a general rule, we want to see you every year for annual wellness checks, and of course, more frequently for any problems. However, recommended tests each year can vary. If you’re between 21 and 29, you should have annual pelvic and breast exams, including a Pap test every 3 years, if normal. If you’re between 30 and 64, you should have annual pelvic and breast exams, including a Pap test every 3-5 years, if normal. Mammograms are recommended yearly starting at age 40. We may start screening for breast cancer earlier or with additional tests depending on your family history, therefore your provider will customize your care as needed. After age 65, you should still have yearly pelvic and breast exams, but we can typically discontinue Pap tests. We also recommend periodic bone density testing starting at age 65, or earlier if you have certain risk factors for osteoporosis. We also recommend an initial reproductive health visit for our younger patients between ages 13-15. Unless there are specific issues, pelvic or breast exams are generally not needed. We like to have a conversation to discuss menstrual cycles, teen wellness, preventative vaccinations like the HPV vaccine – if applicable, contraception and, sexually transmitted infections. When you are pregnant, we like to see you quite frequently for OB visits: every four weeks initially, every two weeks after 28 weeks, and every week after 36 weeks. We become best friends! Aside from annual wellness checks and routine obstetrical visits, we’re always happy to see you for any gynecologic concerns you have throughout the year. If you are ever unsure of when you are due for a visit or test, don’t hesitate to contact our office and speak to our staff. 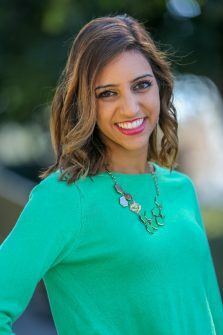 Tasha Kalra, M.D. the author of this blog is proud to practice at Orange Coast Women’s Medical Group and values care, listening to a woman’s specific concerns, alleviating any fears and promoting empowerment to improve health outcomes. To find out more about OCWMG and your regular OBGYN visits, conveniently located in Irvine, Laguna Hills and San Clemente/Talega, CA visit our website, or give us a call at (949) 829-5500.